The Niche Nutrition Series with Registered Dietitian, Cayla Jablonski, kicks off April 3rd at 6pm and will be going on once a month for the next 6 months. The first topic is all about how to incorporate alcohol into a healthy lifestyle. There is a way to keep alcohol in your life without causing havoc on your other healthy habits. Cayla will be going into detail on how our bodies handle alcohol, tips and tricks on keeping intake under control, as well as going over which alcoholic beverages are less destructive. 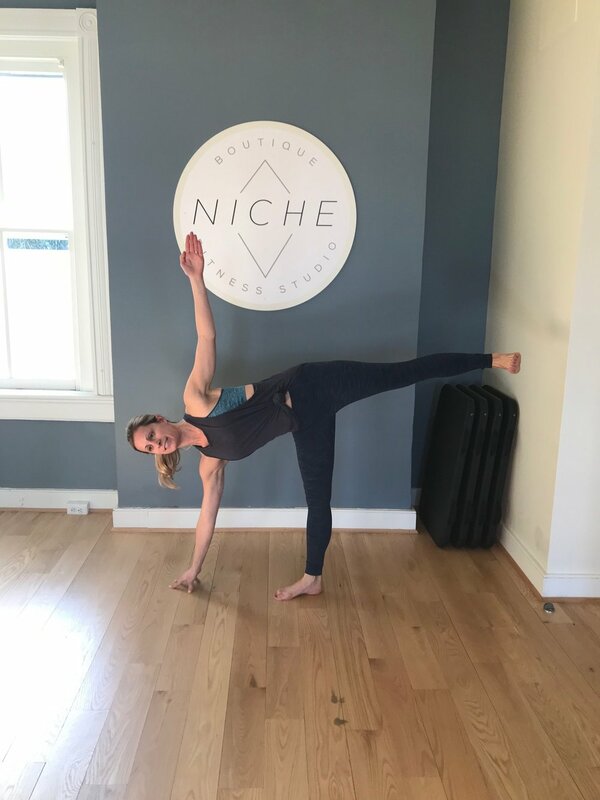 Expect a fun, laid-back night of Cayla approved adult beverages, healthy snacks and nutritious conversations at Niche Pilates Studio. To top it off, a pilates class comes along with the ticket to be used within 30 days of April 3rd. Hyperextension occurs when there is excessive movement in a joint, causing the joint to open at an angle that is beyond healthy range of motion. Hyperextension is common and makes joints vulnerable to injury. When you are in hyperextension you are causing excess wear and tear on ligaments and tendons and not using the muscles surrounding the joint. We focus on helping clients understand the difference between “hanging out in their joints” and making the muscles work to stabilize the joint through movement. You will hear a common cue to “keep a soft bend” - whether it is in your wrist, elbows, or knees. This can often feel strange and challenging at first, but creating awareness and focus will help keep you healthier in your joints, and you will build strength in the muscles supporting your joints over time. 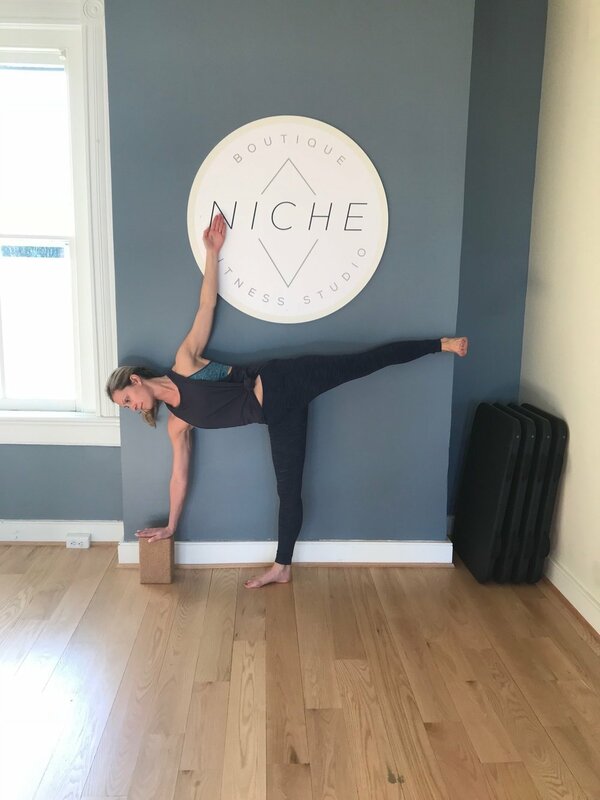 This is one of the benefits of small group classes, at Niche we max out at five clients per class ensuring quality instruction, safety and proper form. We want to help create awareness and empower you with lessons that you can take with you outside of our studio as well! If you have any questions about your alignment - please be sure to ask our qualified instructors. Place your hands on your low belly, thumbs and fingers touch other hand. Fingertips towards pubic bone. As you move, you want your hands to remain flat - if you were to place a glass of water on your hands - it would not spill! This can you a useful tool on the reformer during footwork or feel in straps, or at home you can do toe taps or other core exercises on your back. Start on your back with your feet on the floor, stack knees over ankles, sit bone distance apart. Anterior Tilt: Keeping your hips on the floor start to arch your back - lifting lower back off the floor while keeping core engaged, tailbone is pointing down towards the floor. Posterior Tilt: Then press your lower back into the mat, tailbone starts to point up towards the ceiling. Now that you have techniques to find your neutral pelvis, here are some common exercises that you can find and focus on maintaining it. So what can you do if you cannot find neutral or if you experience pain? Imprint - Press lower back into the mat to find your lower abdominal muscles. Move with control and find the range of motion where lumbar spine does not lift. Posterior tilt is often associated with tight hamstrings and psoas and stretched low back and quad. Anterior tilt is often associated with tight hip flexors/quads, stretched hamstrings, lack of glute and lower abdominal engagement. Pilates was developed by Joseph Pilates in the 1920s, yet many customers still confuse the practice with that of yoga. We can expound on and differentiate the two exercises. The primary pilates principles focus heavily on posture, alignment, core, and breath, providing the foundations for the practice. In Pilates, our core incorporates all four abdominal muscles (rectus abdominis, internal obliques, external obliques and transverse abdominis) muscles surrounding the spine , pelvic floor, and diaphragm. Think of a coke bottle (old school analogy, we vote to change that to a kombucha bottle :)) If the bottom was in front of or behind the top the contents would spill out; if the front or back wall was not supporting the contents, they would fall out. Strength, mobility, and function of the core are essential to our health. While Pilates core work may result in externally defined abs, we are more focused on functional work, such as keeping our organs in place. As we age, have babies, etc, gravity continues to pull, and core work becomes that much more essential. The aim of Pilates is ease of function: good posture, strong core, and a properly functioning diaphragm secure our organs, allow for healthy breathing, and support the spine. Our core houses the central nervous system, necessary for a healthy foundation. Exercises in Pilates are practiced through repetition. Pilates creates strong, lean muscles by using dynamic flexibility as we strengthen the muscles. Pilates can be applied to any movement, such as golf, horseback riding, skiing, walking, standing, etc. In a yoga class, we first bring awareness to breath. Yoga aims to calm and align both the body and the mind. Yoga has a sequence: flow through a series of movements, eventually arriving in a posture, typically a warrior pose, held for three - five breaths. There is a spiritual component to yoga; Ujjayi breath is used to bring calmness to the body and mind. This is beneficial in reducing stress and anxiety. Each yoga class ends with savasana: time to reflect and quiet the mind. Carving out time to find stillness, with the energy of others around you, is calming and invigorating at the same time. Savasana is well known for being a favorite moment in a yoga class. At Niche, we love and support Pilates and Yoga. Our talented team of instructors focuses on Pilates, though some of our movements are inspired by yoga. Private sessions may incorporate yoga practices, such as yin yoga, for those who need time to stretch and relax. An exciting part of my job as a nutritionist is creating and adapting recipes to incorporate into clients’ meal plans, such as this ChocoMaca recipe featured here. 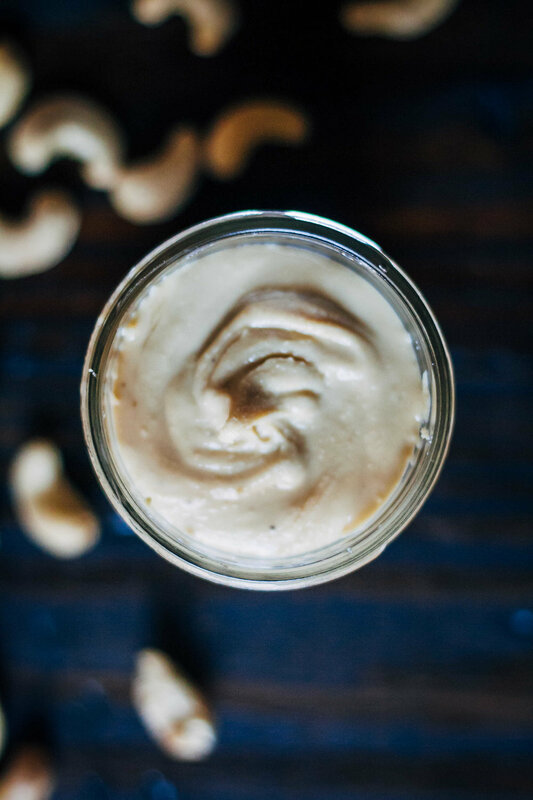 I often work with people who are tackling skin, hormonal, or digestive issues, so developing recipes like this that are soothing to the gut, low in sugar, and full of high-powered nutrients is very important. Collagen Peptides—This sister to gelatin has been all the rage for the last couple years--and for good reason! First, they’re flavorless, odorless, and don’t gel, making it easy to incorporate them into foods and beverages. Second, they pack a good dose of protein. Third, and what I think is most important, the amino acids in collagen peptides can provide some amazing benefits. These include improved sleep, stronger hair and nails, reduced appearance of stretch marks and cellulite, healthier bones and joints, and repair to the lining of the gut. Maca Powder—This plant originated in South America, and is known to increase vitality and endurance, improve hormonal imbalances, and decrease anxiety and depression. Cacao Powder—Different than traditional cocoa powder, cacao powder is less processed and retains its nutritive qualities. Cacao powder is extremely high in flavonoids, a particular class of antioxidants, that have been shown to benefit cognition and heart health. It is also high in magnesium, which is an important mineral in which many people are deficient. Turmeric—This bright yellow spice is known for its anti-inflammatory and antioxidant benefits. It has been shown to improve cognition, decrease cancer risks, improve heart health, and decrease the pain and inflammation associated with rheumatoid arthritis. One of its other major benefits is its ability to improve mood, as it was found to be similarly effective to Prozac in depression patients. When using turmeric, always include a bit of black pepper to increase the assimilation of its major healing ingredient, curcumin. Add all ingredients to a blender or blender cup, and blend until smooth. For a mocha mix: you can combine the first seven (dry ingredients), and triple the quantities. Store it in a mason jar, and add a tablespoon or two to your coffee. For popsicles: simply blend all ingredients, minus ice, and freeze in popsicle molds. 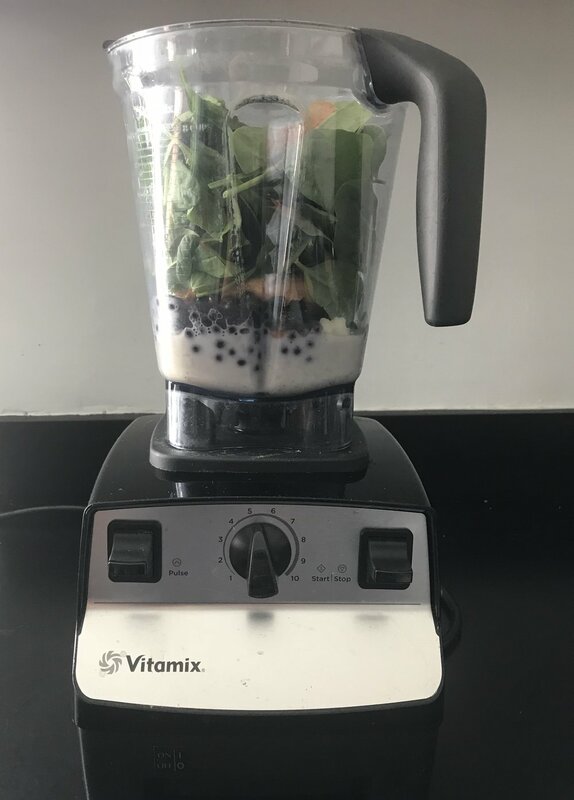 For chia pudding: blend all ingredients except the ice and then add chia seeds. Add 3 tablespoons of seeds per cup of liquid. Stir the mixture well to make sure there's no clumping. Refrigerate for at least two hours for the pudding to set up. Sara Fields is a Nutritional Therapy Practitioner. For more information about Sara and her services, visit www.wellnessintentioned.com. You can also email her at sara@wellnessintentioned.com. As a special bonus, Sara is offering 10% off her services for Niche clients through the end of September! 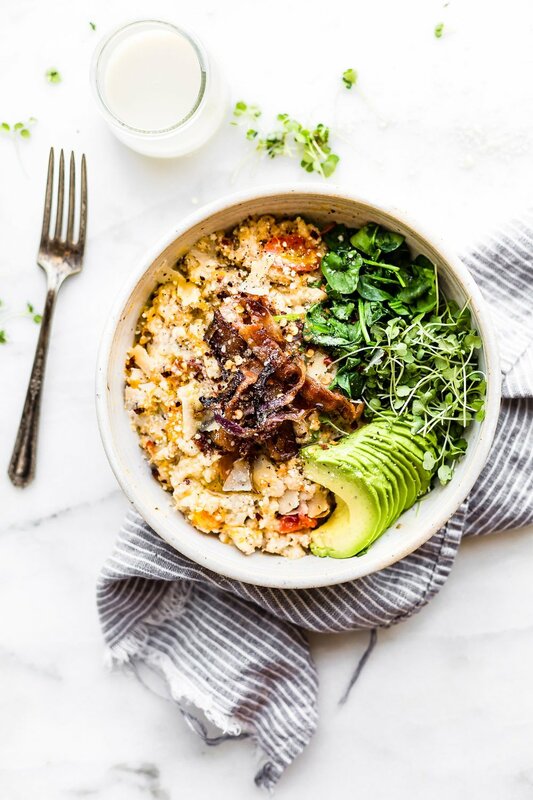 We love this recipe because it will make you feel full and provide lasting energy with healthy fats, fiber and protein. It’s also very low in sugar (which is not the case for most commercial balls or bars) but has a sweetness from the coconut, cinnamon and vanilla. Pulse pumpkin seeds to small pieces/flour in a food processor. 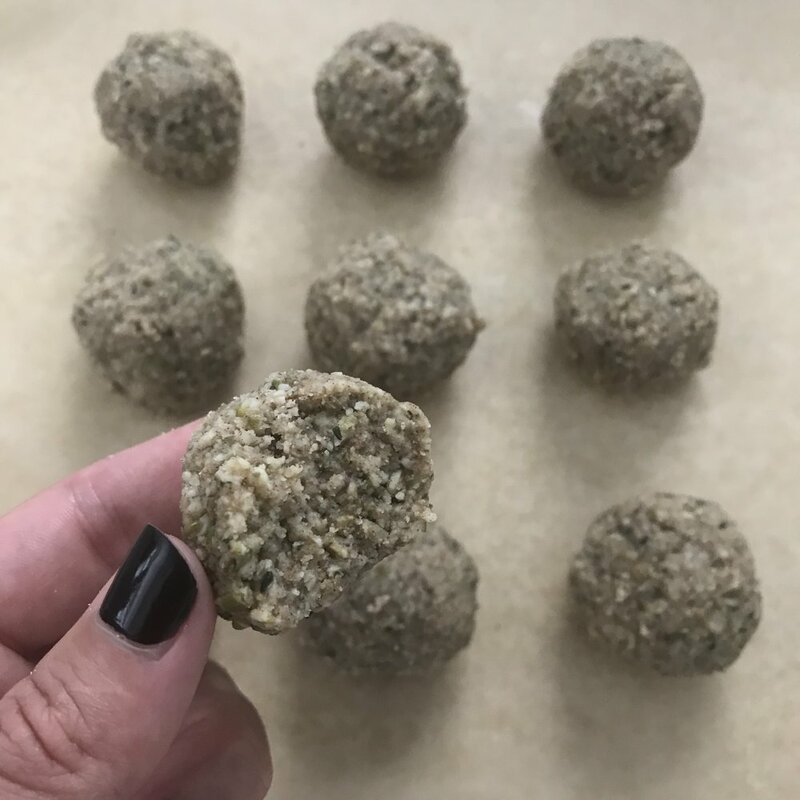 Measure out about 1 tbsp portions and roll into balls. Makes ~10 balls. Place in sealed container in refrigerator or freezer. Well, that’s half right...neutral body alignment is more than just having good posture. Neutral body alignment is the natural position of the spine when all 3 curves of the spine—cervical (neck), thoracic (middle) and lumbar (lower)—are present and in good alignment. Intentionally and mindfully holding your body in this way allows you to move safer and smarter; it promotes ease and may reduce pain, tightness and tension in the larger muscle groups while also decreasing your chance of injury during sitting, standing, working and exercising. Everyday practice of keeping neutral body alignment (or in your pilates practice you may often hear the term “Neutral Spine”) not only promotes good body mechanics and reduces our chance of injury, however. It also encourages optimal functioning of your body’s major systems, helps with digestion and recent studies have shown that moving with neutral spine has positive effects on the immune system and how you fight disease. Over time, this practice of checking and being in tune with our natural alignment transcends solely physical health and engages us in a truly holistic experience of health by deepening the connection between the body, the mind and the spirit. On May 4th from 5:30-7 pm we are excited to host a Create a Custom Scent Workshop with Maven Made (sign up here)! In this workshop, Bethany, creator of skincare and wellness line Maven Made, will be providing information, tips and aromatic hands-on experience with herbal, fatty and essential oils. You'll have the chance to create your own custom roll-on blend using her collection of ethically-sourced and organic oils. Used correctly, botanical-based oils make wonderful allies for healing, balancing and nourishing. Your blend can be used to balance the mind, increase energy, aid menstrual cramps or ease hot flashes, promote better sleep, reduce stress or as an aromatic fragrance - the list is limitless. Herbal infused champagne cocktails will be provided. In addition to hosting Maven Made on May 4th, we were excited to host a Q+A session with Bethany of Maven Made. 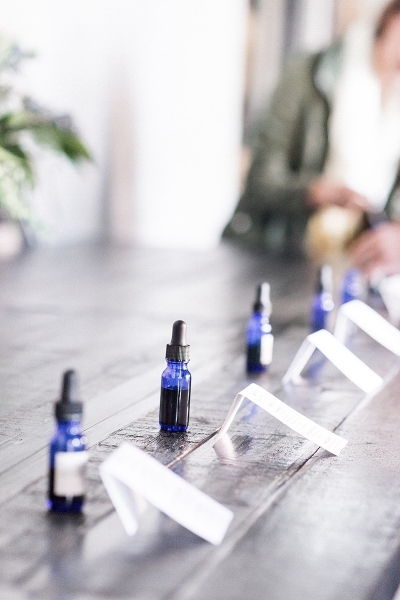 What first sparked your interest in developing your own wellness and skincare products? When I was a child and teens I was always obsessed with beauty products and experimented with the few makeup and beauty products I had. However, it was my long struggle with acne that was the catalyst to open the doors to creating products to nourish my skin and body from botanical ingredients. When and how did you decide to sell your products? I realized I had created something pretty amazing when the Facial Serum helped clear my cystic acne. I started selling a small collection of oil serums under the name of Comfort + Joy in early 2014 but that December the line was rebranded with a clearer vision and Maven Made was launched just before the holidays. What made you decide to go full-time with your business? There is never a “perfect” time for any life moment, so with that in mind, I decided the new year would be my closest version to the right time so I left my full-time job in January to pursue and grow Maven Made. My wife and I plan to start a family in the next few years so nurturing Maven Made into an abundant business before we dive into mamahood is important. What has been a rewarding part of owning your own business? What has been a challenge? Connecting with other artisans, makers and business owners at a local level has been one of the greatest joys of owning a small and woman-owned business. I have developed a heightened respect for goods, art, and services that are formed from independent creators versus the capitalist, chain and big box realm. A challenge that I have encountered is not getting caught up in the things that don’t serve myself or the business. Whether its my own expectations and being hard on myself (I am a Virgo, this is a theme!) or getting wrapped up in people pleasing others. Over the past year, I’ve really embraced saying no or observing when something doesn’t sit right. Whether turning down a wholesale opportunity with a store that doesn’t align with Maven Made/personal values or just declining from the exhausting cascade of social circles, networking and events. I’m learning that being different and allowing Maven Made to carve its own unique path is its greatest superpower. How much of what you create takes “test runs?” In other words, how many mixtures does it take before you make one that you feel is “perfect”? I make, test and remake a product until it feels right, I listen to my intuition for that answer. If I’m formulating a new product, I’ll sample it to others to get feedback, but everything I make has to come from an authentic place where I feel excited about it. If I don’t, the energy behind that product isn’t vibrating at the same frequency as a product I was thrilled to make. Logistically, formulas take a few times to get to a point where I feel confident for others to use it, however the Facial Serum is the bestseller and it took one formulation and that was it! Where do you find inspiration behind a new product, a new scent, etc.? Products are really manifested from discoveries of what interests me. Not what other companies or doing or what is popular. For example, Matcha has been popular for the past few years but I’ve finally discovered the beauty and powers of it. This discover was the basis to launch the newest Matcha Sugar Scrub. I used to be highly addicted to tanning beds, to the point where my skin looked rather leathery! My life was very different than it looks now, many people think I’ve always been this natural wellness advocate or that’s what I’ve been raised around and that just isn’t so. I wore fake nails, caked on MAC makeup and smoked cigarettes. I’m from Texas! I wouldn’t trade any of my past in, it’s provided a beautiful contrast in my life and also allows me to relate to others beyond the wellness realm. Would you consider yourself a traveler or a homebody? It truly depends on the season. In the winter, I hibernate but when the weather warms, I’m on the go. I love travel and it has increased over the years. The older I get the more I realize how important travel is to me and also to my business. Okinawa Japan. When I came across this place I had no idea it existed so I was immediately interested. It is a tropical island in Japan - clear waters, traditional Japanese architecture and it is also home to a handful of animals that are found on this island. This also ties with visiting Dolly Parton at her dinner table. I adore that woman. I’ve been studying various styles of yoga for almost 20 years. Time and hyper-mobility eventually took its toll on my shoulders, so I sought out Pilates as a way to gain balance between strength and flexibility. I think they’re a magical duo. Within your specialty, what drives your passion and creativity? Watching the moments of clarity wash over a student’s face. We are all creatures of habit and how we move on the mat is generally how we move in our lives. When we slow down and focus, we get stronger and we become more aware of our own motivations, strengths, weaknesses, and intentions. It’s juicy stuff. Tell us about a client experience that stands out to you. There are so many! We all experience life transitions, injuries, emotional and physical ups and downs. Your practice can become a refuge in the midst of chaos. A dedicated time to create space and reconnect. I’ve had clients going through the most extraordinary circumstances whose practice gave them the tools to navigate each moment. On a lighter note, I also love breaking down elusive and complex postures. Most can be accomplished if you’re willing to slow down, listen, and do the work. I’m consistency inspired by clients who are willing to do so. It’s not always unicorns and rainbows, but it’s worth it. What do you love most about the Niche family? There’s a lot to love. The instructors are experienced, grounded, and supportive of the clients and each other. This genuine kindness and lack of pretension lends to a delightful, “just show up and do the work” attitude. And we laugh. A lot. Outside of your instructor life, what are your passions and how do they keep you balanced and inspired? I’m fortunate that my days are filled with inspiration! I have two beautiful and interesting children and a partner that elevates me. My involvement with local non-profit, Milk River Arts, and the Richmond arts community keeps me consistently in awe of those who are brave and vulnerable to create for a living. I also love a good punk show. In Taoist and Chinese tradition, Yin and Yang is the concept of duality forming a whole, to create balance. They are very opposite, yet complementary energies. For example: day and night, sun and moon, light and dark. Both create totality and are unable to exist without the other. The general characteristics of Yang reflect that of the sun's energy: bright, fiery, masculine, and more extroverted in nature, whereas characteristics of Yin energy encompass the moon's energy: dark, feminine, cold, and more introverted. The traditional Yin Yang symbol that most of us are familiar with is the ideal depiction of what a true state of balance looks like (visually), where the small dots within each of the two energies symbolize that there is always some Yin within Yang, and vice versa. However, in today's society, that depiction is likely be highly distorted and skewed more towards Yang energy. We tend to do a pretty great job of keeping ourselves busy and our schedules full, often to the point of feeling burnt out, overworked, overstressed and restless. Little do we allow ourselves to nurture the yin aspects of living that allow us to find balance and restore on a physical, mental and emotional level. We tend to feel guilty when we take time off, cancel plans or clear our calendars to simply let ourselves rest, but it's the intentional rest that is absolutely fundamental to our wellbeing and our ability to thrive in a demanding world that seems to require much from us, energetically speaking. With a new year fresh on the horizon, there is an obvious change of pace that is happening. Gym facilities are packed, workout class sizes substantially increase and diets tend to change in an effort to push ourselves towards lofty resolutions and goals. Having personal goals for ourselves and maintaining accountability to reach them is extremely important, however we must take caution not to push ourselves beyond our limits to a state of exhaustion and dis-ease. That's where balance comes in, and why our studio challenge to kick off 2018 revolves around the concept of Effort + Ease. Yes, working towards finding our edge while building heat through a challenging physical practice, but equally as important, taking an extended restorative savasana to cool the nervous system back down. We advocate for the importance of both in maintaining balance while achieving your personal goals on a much deeper, more intentional level (even off the reformer/mat). Many will say that they find the yin-focused restorative practices to be much harder than routine physical practices, because the poses are held for extended periods of time (where we don't have the distraction of our phone, TV or computer to reach for). It can be mentally and emotionally challenging, as it's the mind that becomes the most active part of our bodies. Naturally, it will feel difficult to remain in an active state of rest when we are conditioned to always be in this state of "business," but that is why these practices are fundamental, as they force us to slow down, be still, and breathe. They're like a supportive little nudge to the nervous system, helping to reduce the stress hormones in our bodies that we've accumulated from yang-heavy days. Speaking of the nervous system, the breath is one of our most powerful tools for restoring the mental and physical body and bringing some coolness to that fiery energy. During any given day, our breath tends to solely fill up in our chest, however practicing mindful, intentional breathing is what signals the parasympathetic nervous system (our "brake pedal") to kick in. To do so, we must be sure to breathe deeply into the belly. A simple way to do so is to lie down on your back and place both hands across your lower belly, breathing in so that your hands expand away from your belly, and breathing out to soften and release the breath. The nervous system also responds well to extended exhales, so breathing in to the count of three and breathing out to the count of five is a wonderful way to experiment with this exercise, especially during the evening yin hours just before bed. Another simple ritual to foster evening yin energy is to practice a restorative posture known as legs up the wall. We often guide several variations of this posture at the studio during our restorative-style classes, but essentially, it's a placement of the legs slightly angled or flush against any wall in your home (preferably in a quiet, calm space) with a pillow underneath the head and a blanket draped over your lower body, especially the legs and feet. Similar benefits are achieved as if you were practicing a headstand (as the feet are still above the heart), however this pose encourages an active state of rest where focused breathing and introspection can take place. Acknowledging the inhale as we breathe in, and acknowledging the exhale as we breathe out. Repeating that, again and again. Implementing a consistent daily routine that harnesses these yin characteristics in a way that works best for you is highly encouraged, so you can expect to be hearing us talk about them even more throughout this month. If you find that your challenge is attending the ease-style classes, then it's likely because there is something in them that your body needs and will benefit from. For those of you looking to learn more about creating space for more yin in your everyday lives, Allison will be hosting a workshop specifically around it this Saturday, January 13th. You may reserve your spot here, and otherwise, we'll see you in the studio! In Maslow's hierarchy of needs, food is a basic physiological need -- along with water, warmth and rest. Every organ in our body requires sustenance and proper nourishment to keep things running smoothly and performing their jobs efficiently; including digestion, hormone regulation, blood sugar balance, energy, mood, sleep and so forth. If we're doing things right, then our blood sugar levels will be balanced, which therefore will support hormonal balance, increased energy, improved mood, cognitive support…and hopefully less cravings for sugar-laden things at the end of the day. That said, we're also human and sometimes breakfast gets skipped altogether, lunch is consumed in a hurry, and dessert becomes dinner. And so we try again tomorrow, but tomorrow doesn't seem as easy. Usually (and mostly because dessert was dinner), we're overcome with symptoms of lethargy, brain fog, more intensified sugar cravings and less than ideal sleep. Such a vicious cycle. But if we pay attention to and listen to those nudges, as uncomfortable as they might be, then that will help us to get back on track as we continue to refine our approach in a more mindful way -- without tipping the iceberg and going overboard, but also being sure to not restrict or deprive. That said, we are a society with a voracious appetite for the latest wellness fads and trends, climbing on to the bandwagon of shiny new objects that claim to make us feel our best. And by that, I don't mean you specifically, but as a society at large, mostly due to what we're fed across social media, TV, magazines and the like. It's very easy to get lost in the shuffle and attach ourselves to the next best thing, losing sight of our unique and individual needs. We've allowed for dietary labels to define and pigeonhole us, fearing what might happen if we tell our loved ones that we've given up cheese. Often, today's concept of wellbeing can feel extremely complex and unattainable. Finding balance can feel like a whirlwind of highs and lows, woes and a lot of "try, try agains," leaving us to wonder if feeling good and well in our own bodies is actually possible (it is). Mostly, it's the mind that gets in the way, but that's a topic for another time and place. All this to say that with proper attention, commitment and some good old fashioned tender loving care (and yes, patience), balance is indeed possible. Just like any physical practice, it's important to notice what works for our bodies and what doesn't. Handstands and long distance running may be ideal for some, while legs against the wall and brisk walks outside suit others just fine. In taking that same approach towards diet, some thrive on animal-based proteins and carbohydrates while others function best on a plant-heavy diet and healthy fats. 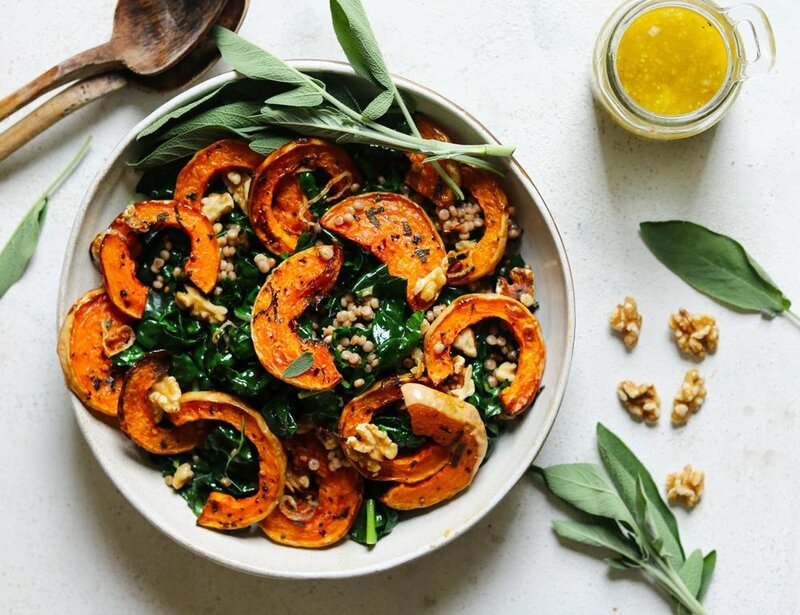 While optimal health looks and feels different for all, one of the most important ways that we can find balance and become more in tune with our individual needs is by paying attention to the foods and ingredients that we choose to put into our bodies. The practice itself simply begins by noticing what's on our plate., and why. Are the choices attributed to a long, stressful day and quick solve comfort, or are the choices based on what our body needs to maintain balance and feel well? Over time, if we continue to consume foods that don't provide us with the nourishment that we need to thrive (or alternatively, if we completely deprive), then eventually we will create an imbalance in the body that may lead to short or long-term illness or dis-ease. We must find that sweet spot in our routine and remove the labels of what is "good" or "bad" or fed to us as what is "healthy" and instead find what works best for our own bodies. Interested in diving in further? 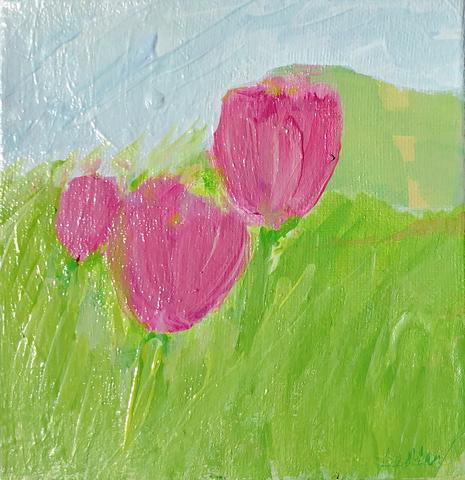 Allison will be hosting a special two-hour workshop at the studio on Saturday, January 6th. This workshop won't be about convincing you to follow a specific cookie-cutter diet or asking you to cut out specific things because they "aren't good for you." In this workshop, we will respect your individual dietary preferences and needs, providing you with greater knowledge and information on various nutrition topics so that you can being to experiment with and implement them into your current lifestyle to achieve balance and wellbeing. Be sure to reserve your spot here.